A global index drawn up by Malta’s cash-for-passports scheme concessionaires, Henley and Partners, has downgraded the island’s rank by two places. Published annually, the Henley Passport Index, unveiled last week, ranked Malta’s passport as the ninth strongest in the world, down from seventh place last year. The country’s passport was awarded 182 points, which according to the concessionaires is based on “exclusive data” from the International Air Transport Association (IATA). For the second-year running, Japan was ranked as having the strongest passport, followed by Singapore and South Korea in second place and France and Germany in third place. At the other end of the scale, Afghanistan’s passport was ranked as the least powerful of all countries, with Somalia and Syria just ahead. According to the Switzerland-based company, the index and its contents are based on data provided by the International Air Transport Authority (IATA) and “supplemented, enhanced and updated using extensive in-house research and open-source online data”. The scores are determined by the number of countries holders of the different passports can visit without needing a visa. Henley and Partners have made headlines in Malta in recent years after they designed the island’s controversial cash-for-passports scheme, introduced when the Labour Party was elected to government in 2013. The scheme generates hundreds of millions of euros and has helped the island in registering a surplus in its budget. 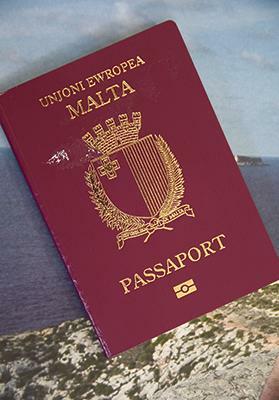 Millionaires can opt to buy a Maltese passport by donating about €650,000 to the Maltese exchequer and also by abiding by a number of other obligations such as acquiring a property valued at a minimum €350,000 or rent for a minimum of five years. The new Maltese citizens are obliged to prove they have lived in Malta for 12 months. Since its inception, the scheme has come under fire from various European institutions and international anti-corruption groups. Just last October, a report by Transparency International and Global Witness slammed the scheme, highlighting the need for the island to better address the programme’s reputational and money-laundering risks. Some members of the European Parliament have also spoken out about the need to better regulate cash-for-passports schemes, including that of Malta, for which very little information is supplied.